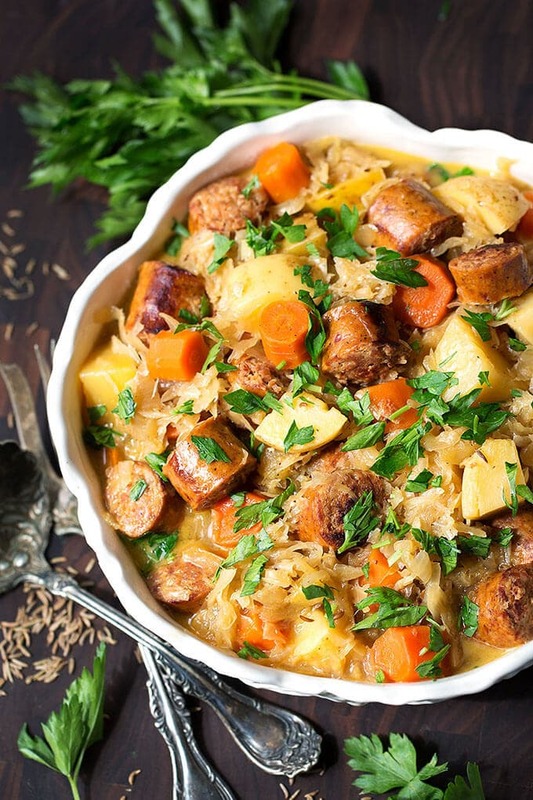 This collection of 39 delicious one pot meals is perfect for fuzz-free cooking! It features one pot pasta dishes, rice dishes, soups, chilis, vegan options, and much more. Okay guys, welcome back for the second round of food starring. By the way, this is my second blog post ever! So I’m still in the learning process on how to blog etc. 😉 This time it’s all about one pot meals. 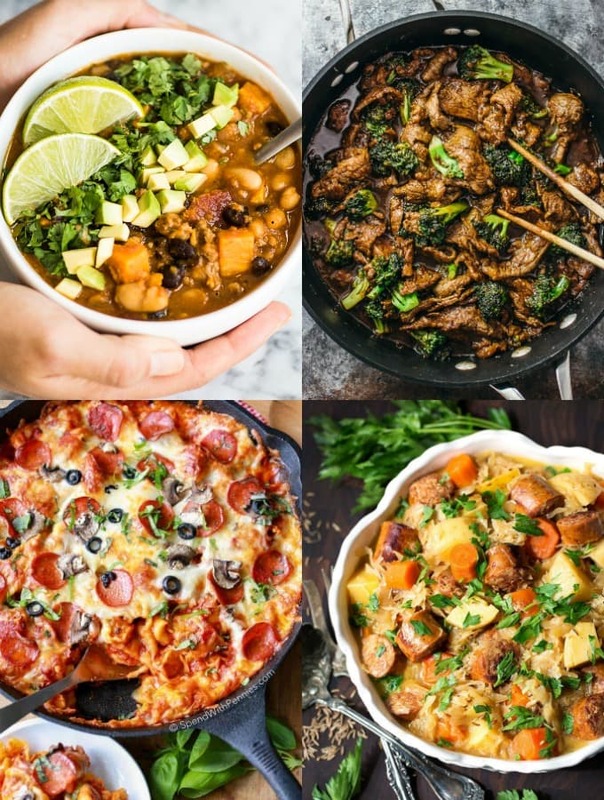 Why exactly one pot meals? Easy! 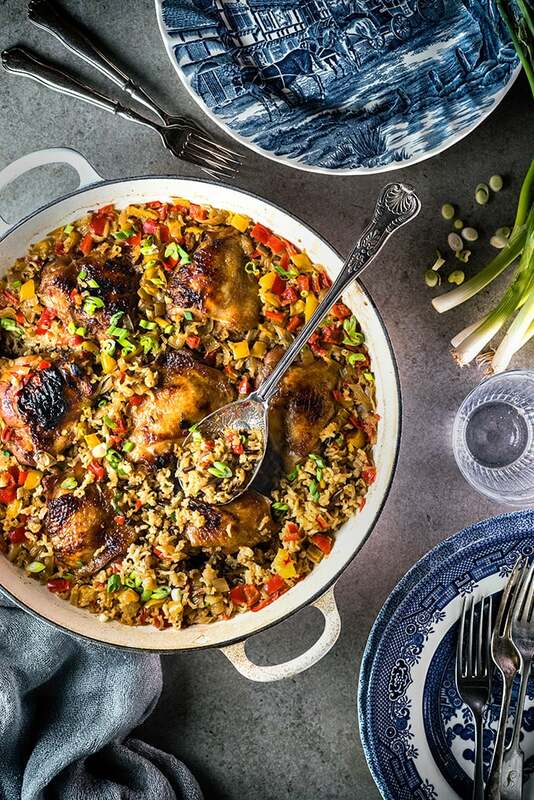 One pot meals are just perfect for quick and easy cooking and you can keep cleaning up to a minimum. This is especially helpful if you’re a student and don’t even have dishwasher (yeah, I still don’t have one…). Additionally, one pot meals tend to be super easy and you don’t have to be a superb chef or have tons of ingredients. 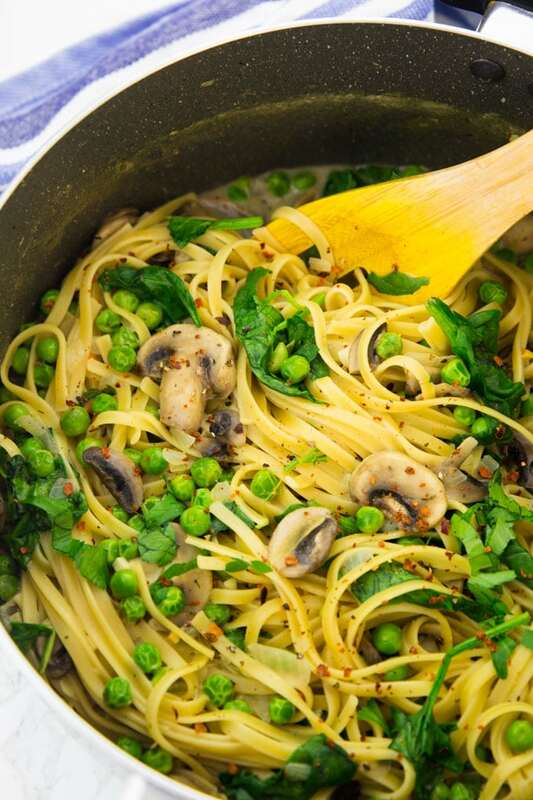 Super easy and mouthwatering one pot pastas. Keep an eye open for the tortellini bake, the green garlic mushroom pasta with peas and spinach, and the one pot lasagna pasta! Rice dishes in every form and taste. Check out the Chines chicken and the Mediterranean Pork and Rice. Some healthy and warming soups. For example the spicy lentil soup and the beef stroganoff soup. If you’re looking for vegan and vegetarian options, I got you covered as well! The vegan Asian style one pot pasta and the vegan chili look super delicious! Don’t you think? OK, let the drooling begin! 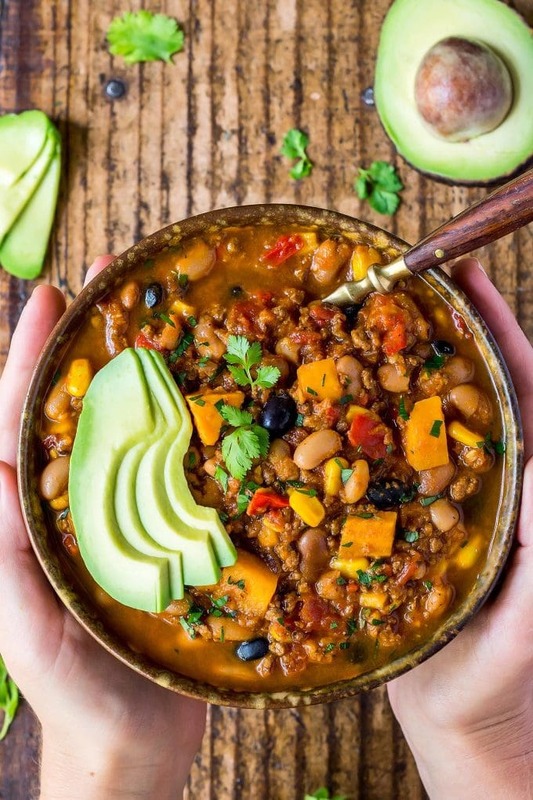 Chipotle Pumpkin Turkey Chili by Isabel from Isabel Eats. Garlic Mushroom One Pot Pasta (Vegan) by Sina from Vegan Heaven. 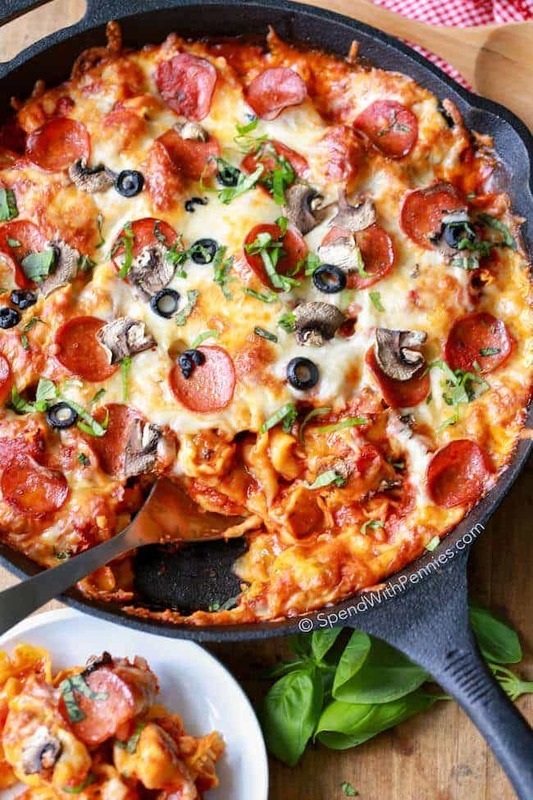 One Pot Pizza Tortellini Bake by Holly from Spend with Pennies. 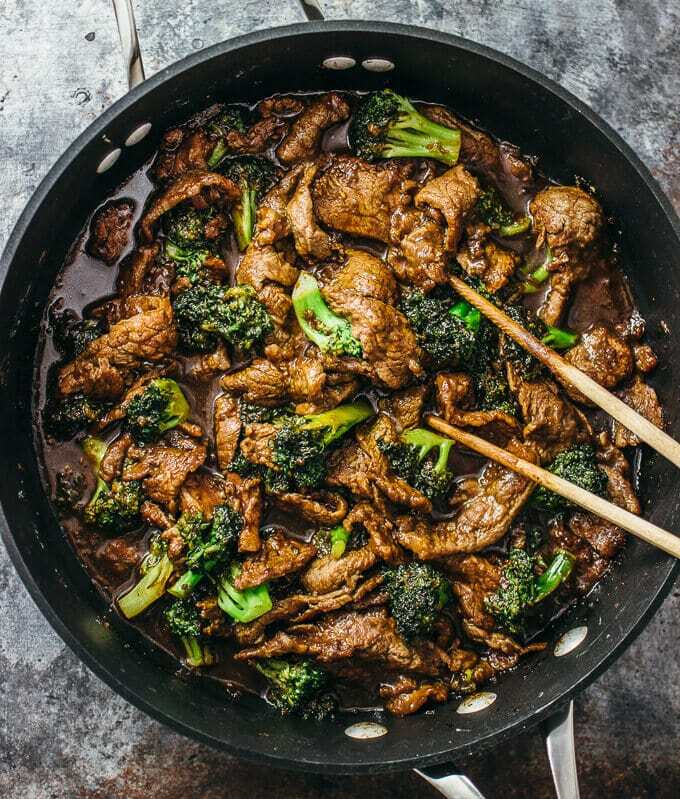 Crazy Good Beef and Broccoli by Julia from Savory Tooth. 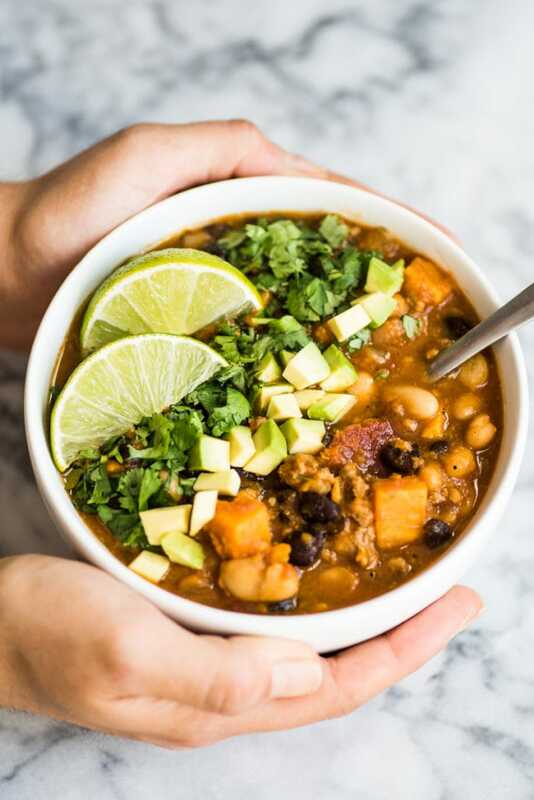 Crockpot Sweet Potato Chili by Natasha from Salt and Lavender. 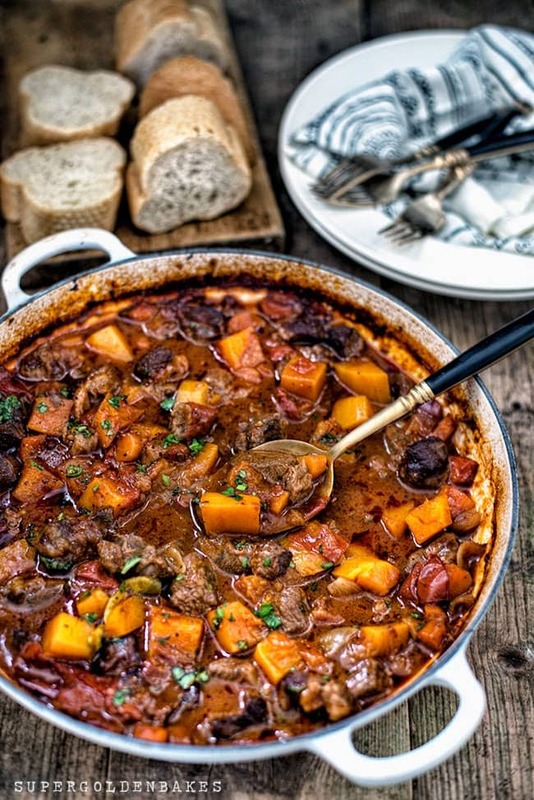 One Pot Vietnamese Beef Stew by Lucy from Supergolden Bakes. 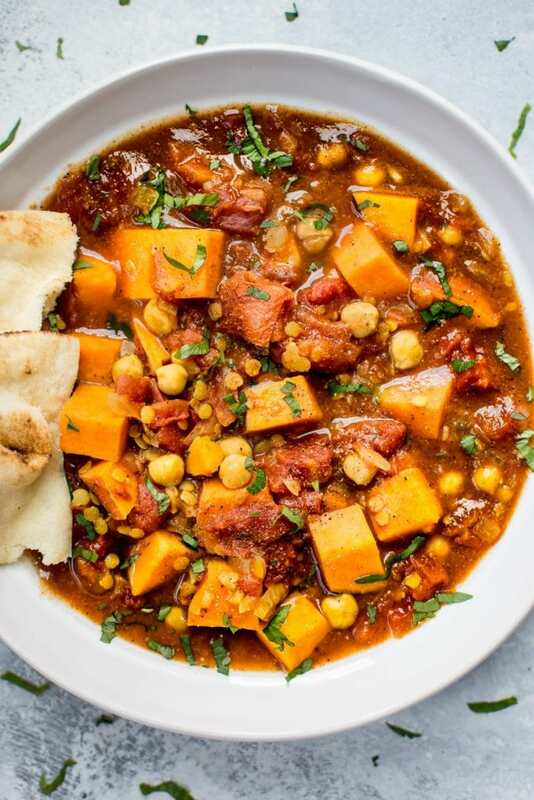 Spicy Lentil Soup by Isabel from Isabel Eats. 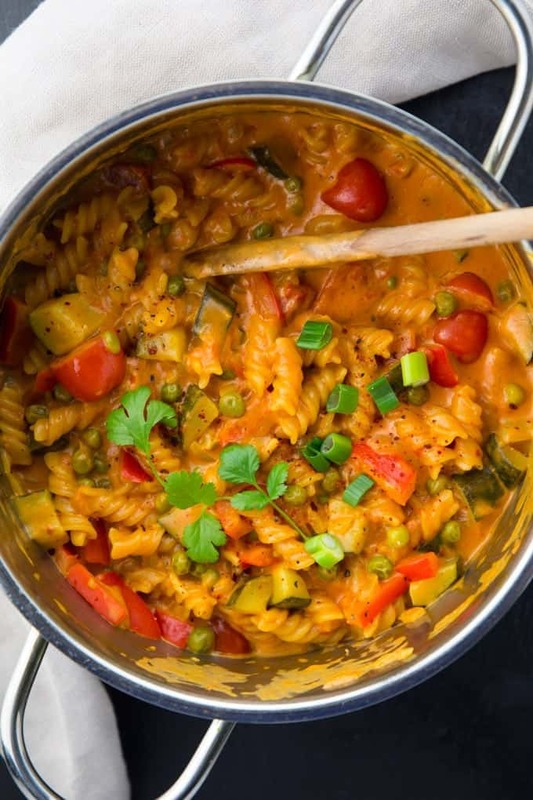 Creamy Vegan One Pot Pasta (Vegan) by Sina from Vegan Heaven. 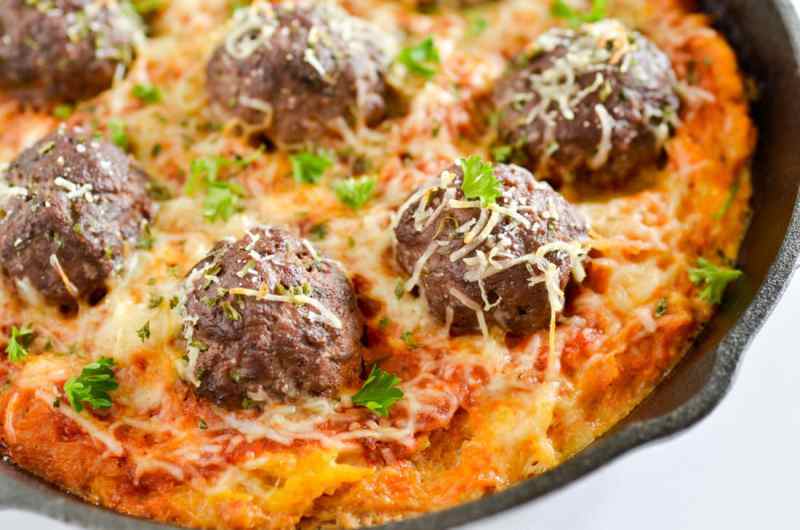 15 One Skillet Spaghetti Squash and Meatballs by Nick from Meal Prep on Fleek. 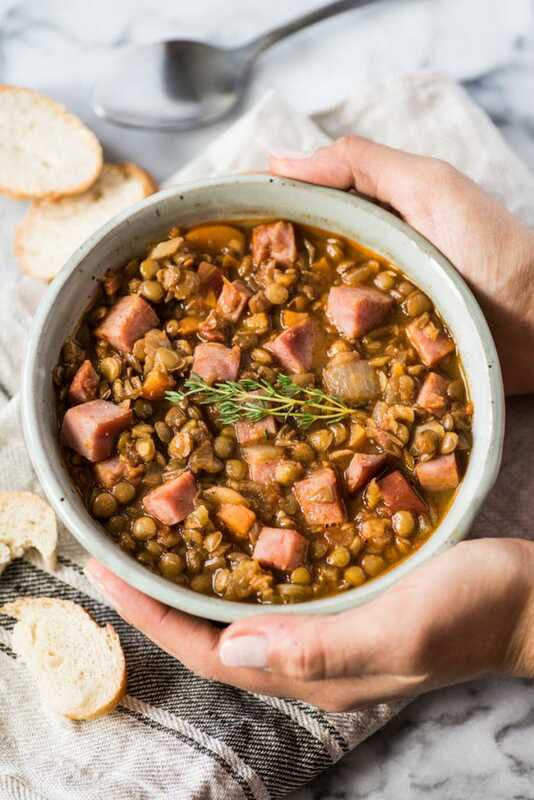 Instant Pot Kielbasa and Sauerkraut by Sandy from Simply Happy Foodie. 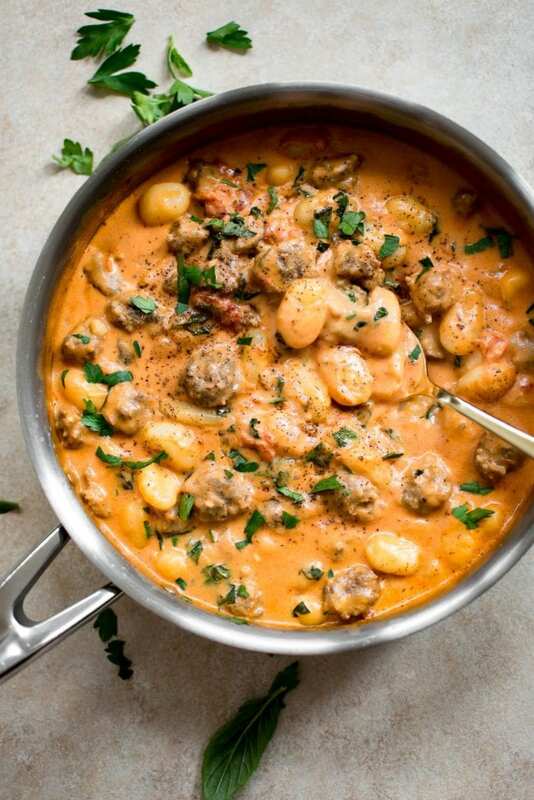 One Pan Creamy Gnocci with Sausage by Natasha from Salt and Lavender. 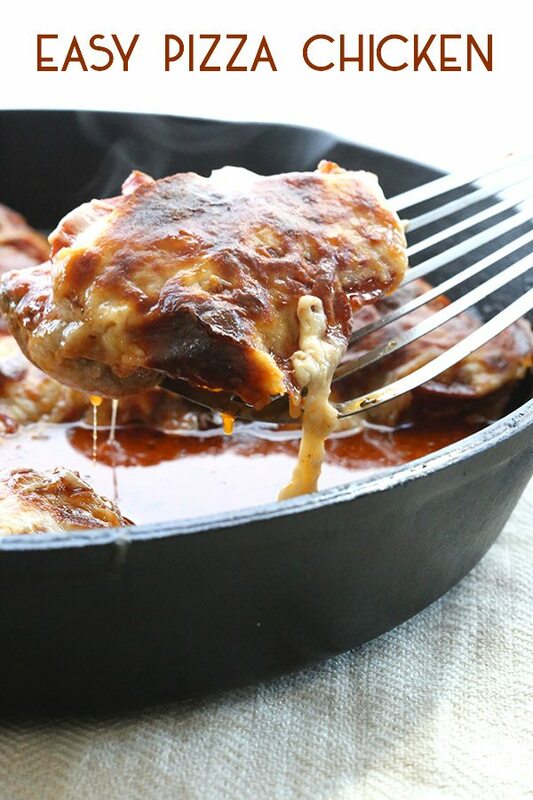 Smothered Creamy Skillet Chicken by Brittany from Diabetes Strong. 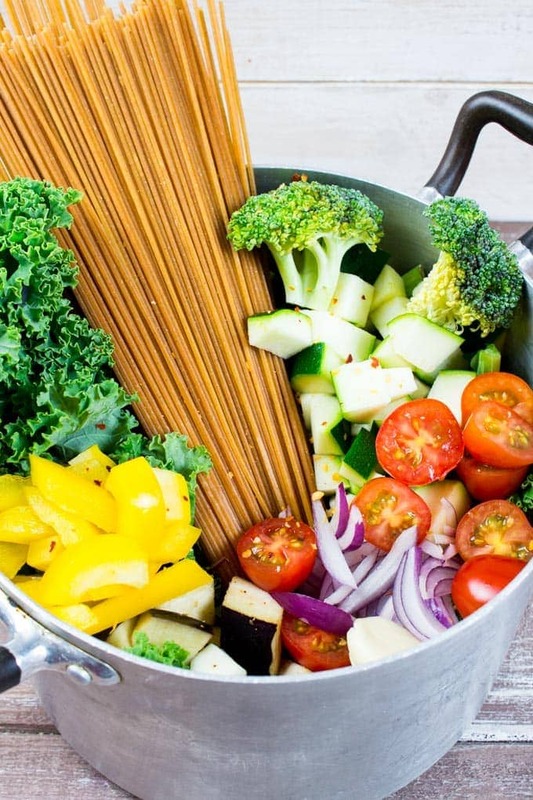 Vegan One Pot Spaghetti with Vegetables (Vegan) by Sina from Vegan Heaven. 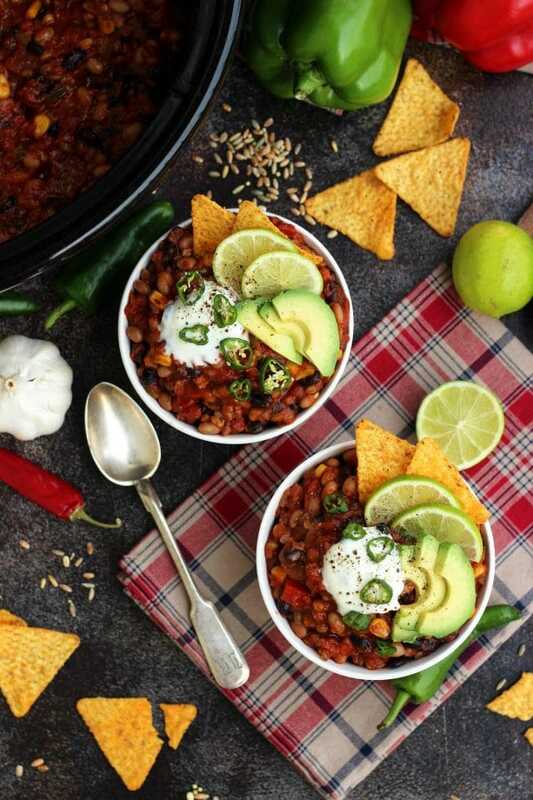 Instant Pot Chili by Regina from Leelalicious. 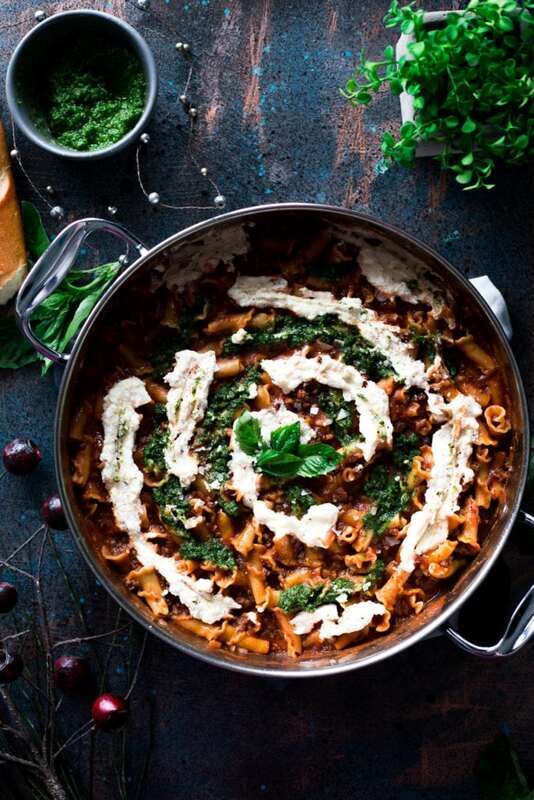 Creamy Pesto Lasagna One Pot Pasta by Karly from A Simple Pantry. 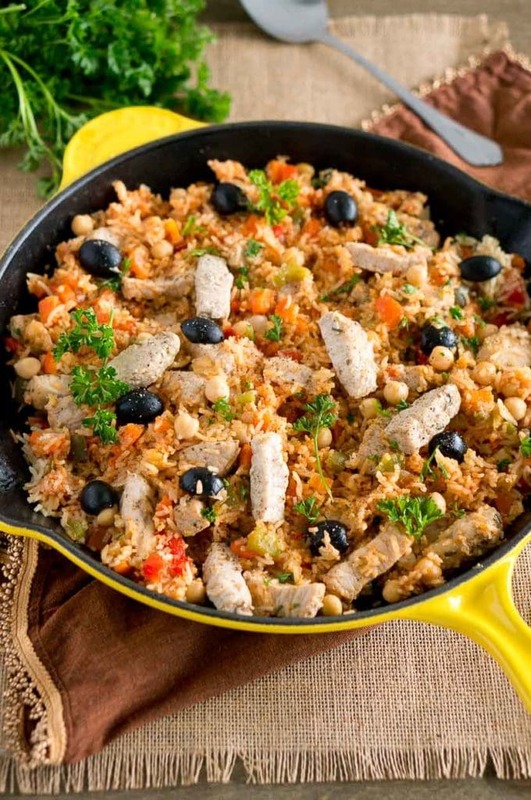 One Skillet Mediterranean Pork and Rice by Neli from Delicious Meets Healthy. 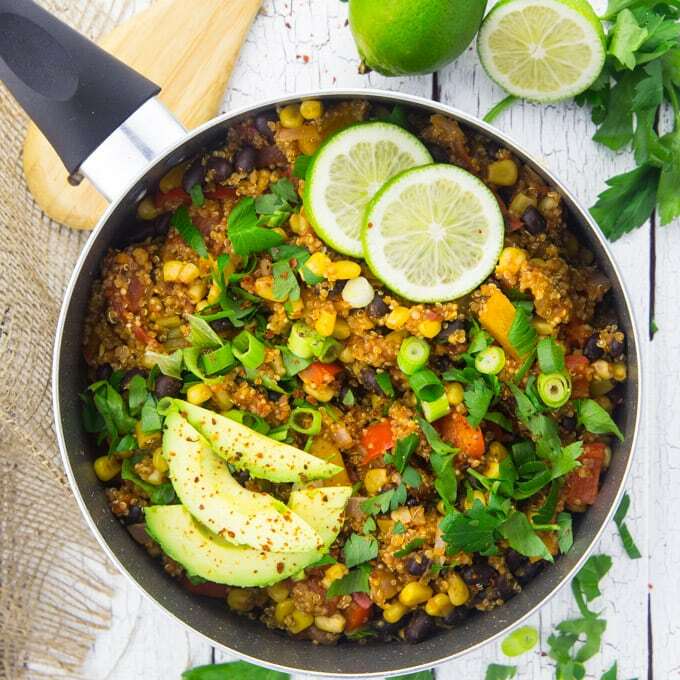 One Pan Mexican Quinoa (Vegan) by Sina from Vegan Heaven. 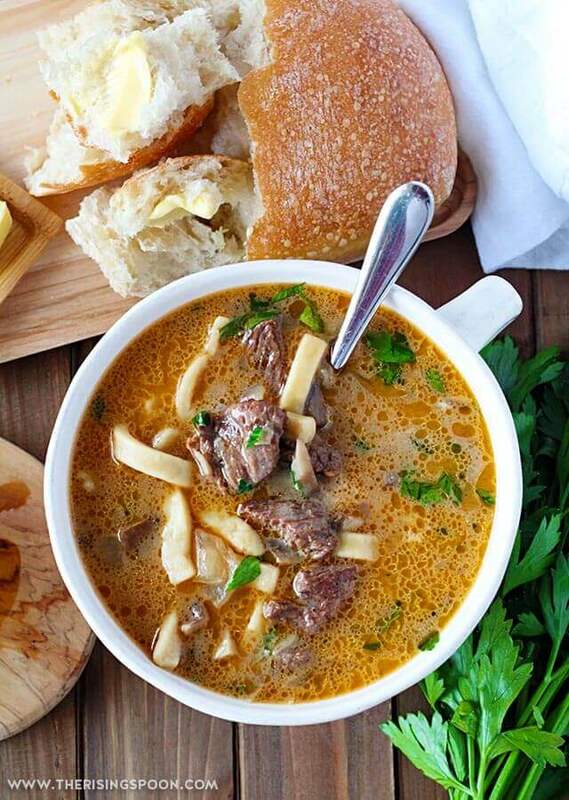 Easy Beef Stroganoff Soup by Elaina from The Rising Spoon. 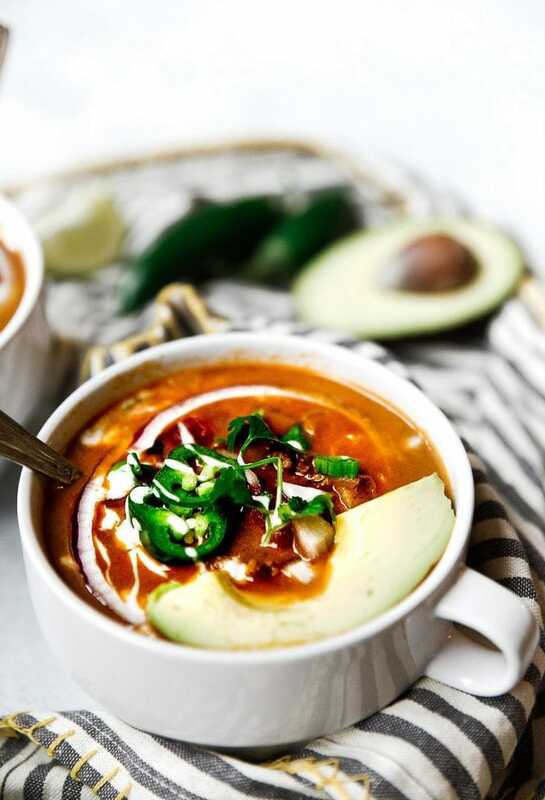 Easy Whole30 Taco Soup by Monica from The Movement Menu. 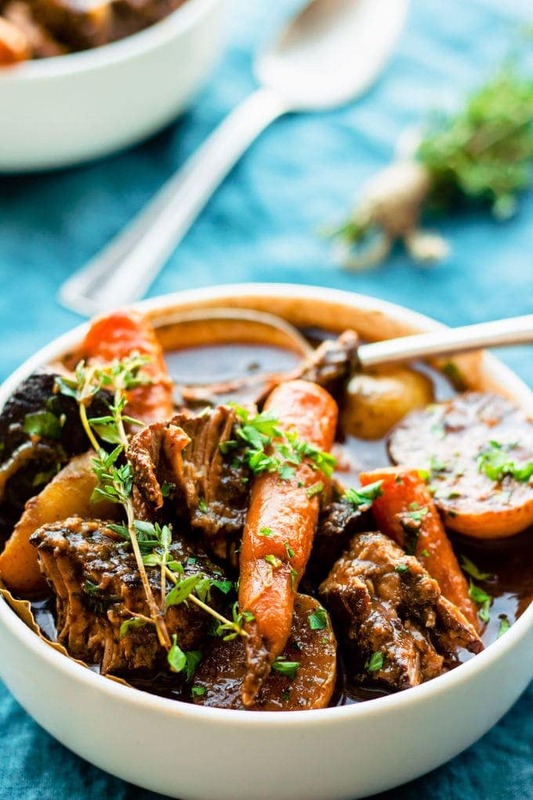 Slow Cooker Gluten-Free Beef Bourguignon by Gabriel from One Clever Chef. 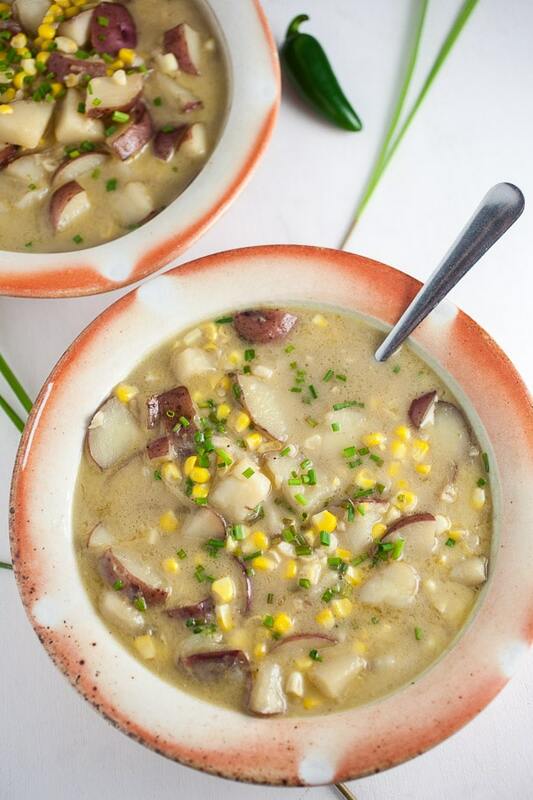 Thay-Style Potato Corn Chowder by Christine from The Rustic Foodie. 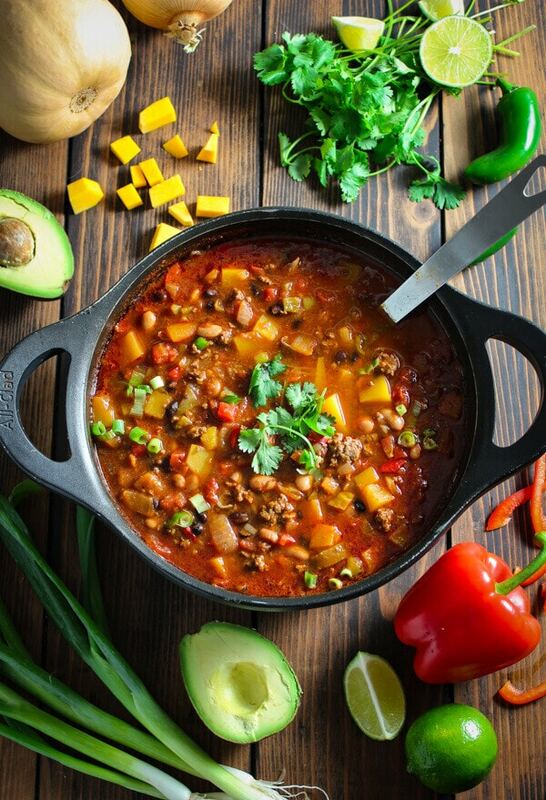 Easy One Pot Game Day Chili by Shannon from Pass Me Some Tasty. 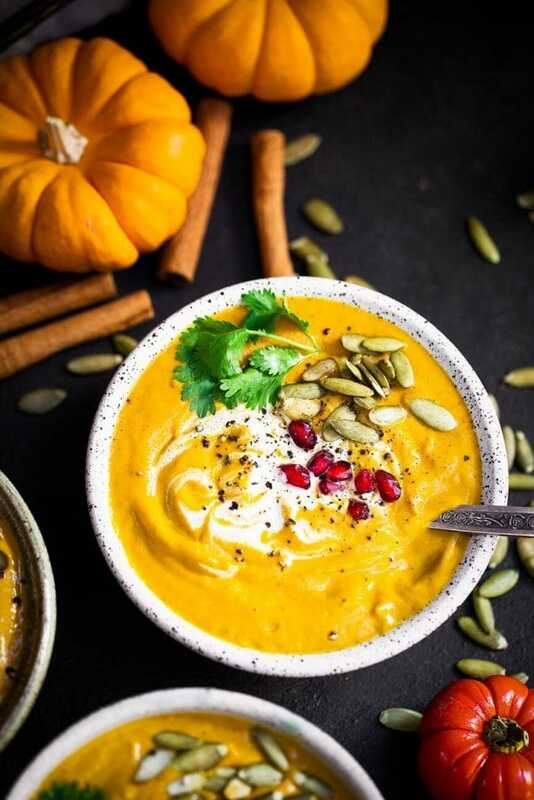 Easy Vegan Pumpkin Soup by Monica from The Movement Menu. 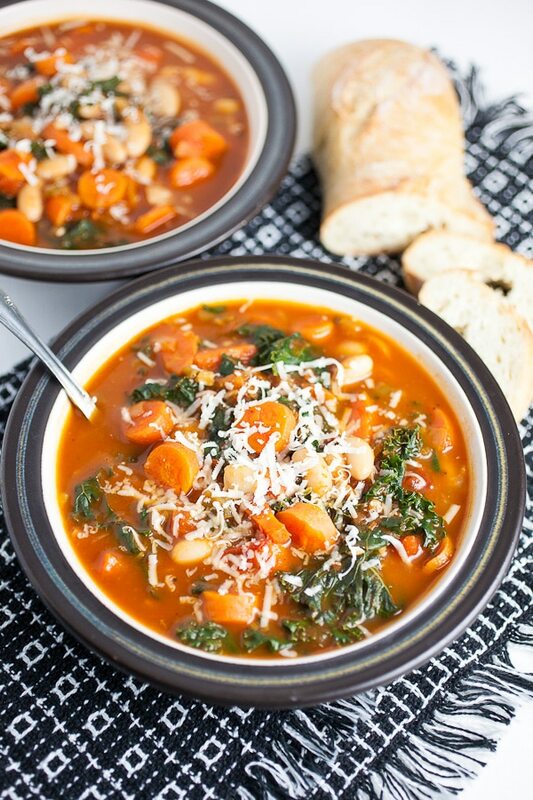 Cannellini Bean, Carrot, and Kale Soup by Christine from The Rustic Foodie. 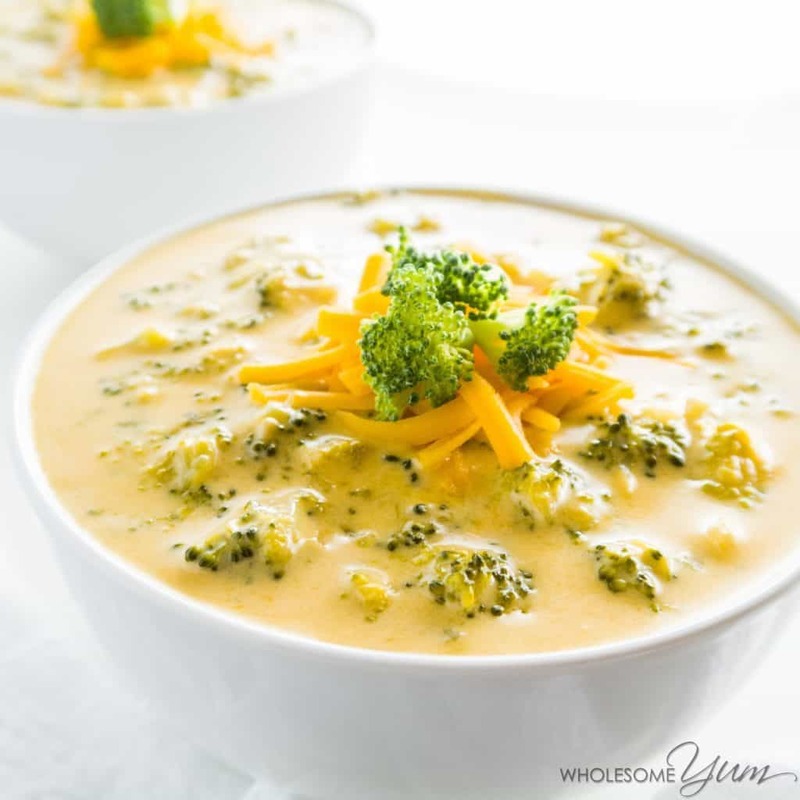 Easy Broccoli Cheese Soup (Gf) by Maya from Wholesom Yum. 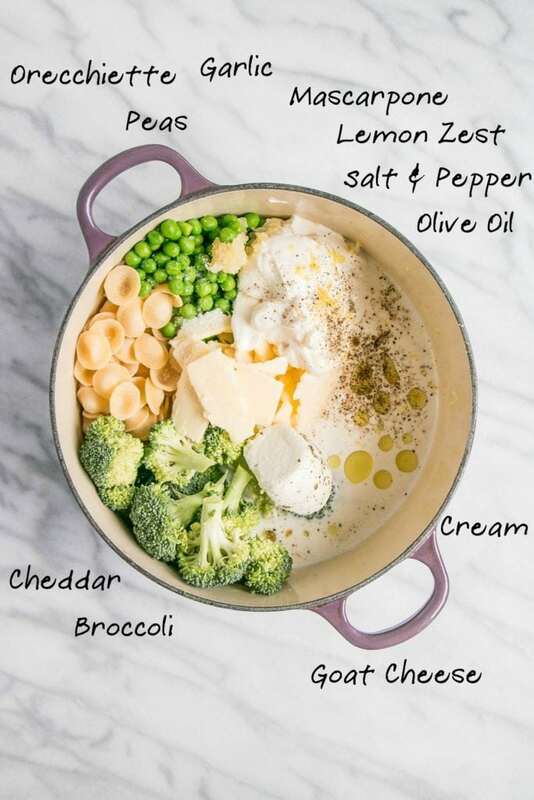 One Pot Broccoli and 3 Cheese Pasta by Samantha from My Kitchen Love. 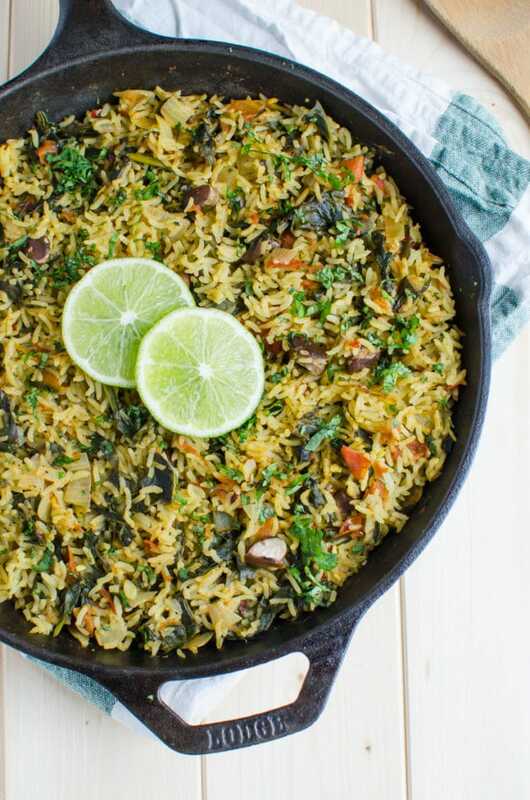 One Pot Spinach Rice by Swati and Tushar from Watch What U Eat. 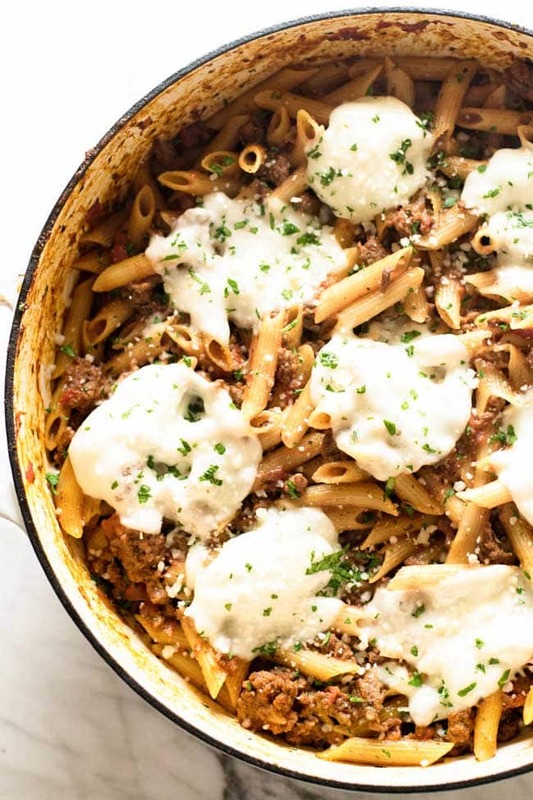 30 Minute One Pan Beef Penne by April from Girl Gone Gourmet. 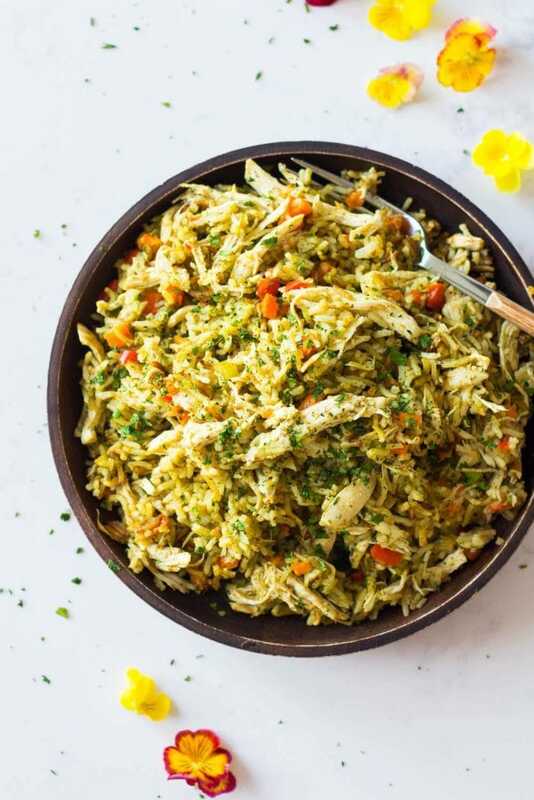 Quick and Easy Instant Pot Chicken and Rice by Lorena from Green Healthy Cooking. 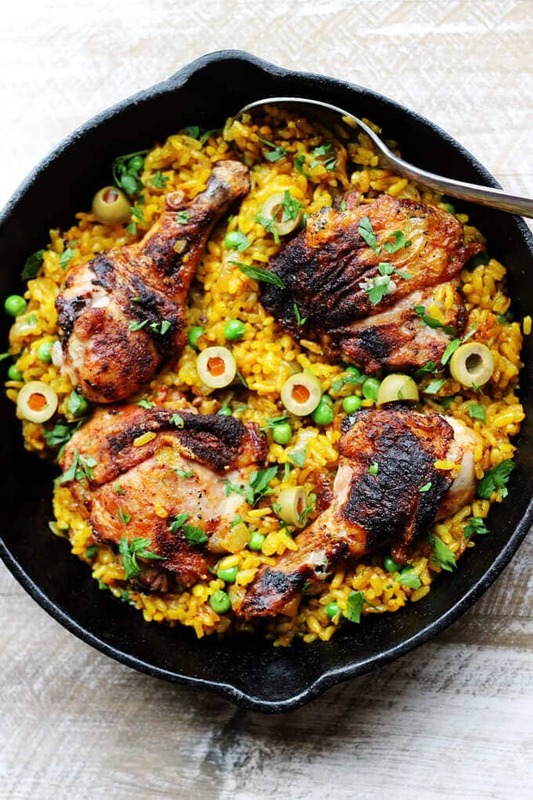 One Pot Chicken Saffron Rice with Peas and Olives by Edyta from Innocent Delight. Mexican Gnocci Recipe by Rini from Healing Tomato. 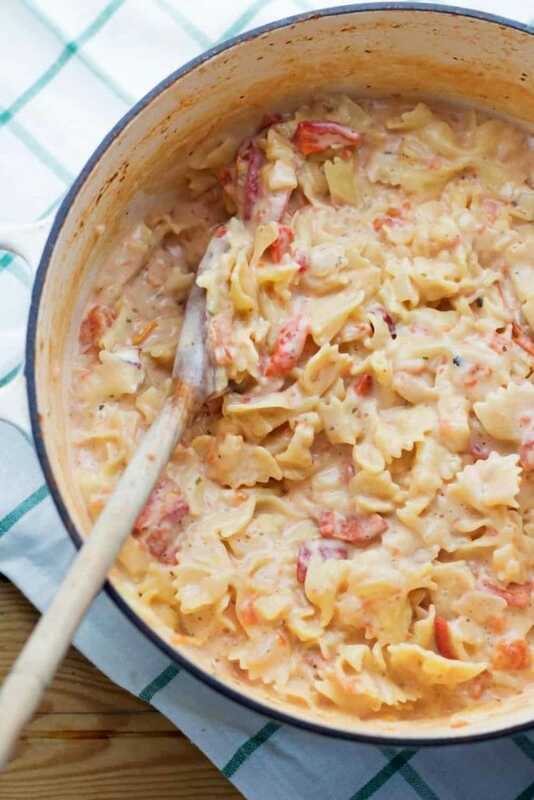 Cheesy Roasted Red Pepper One Pot Pasta by Amy from The Cook Report. 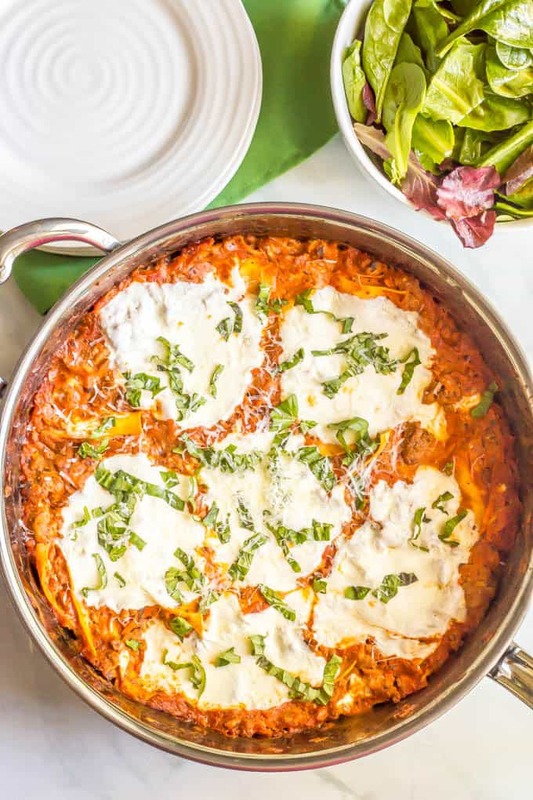 Easy Healthy One Pot Lasagna Pasta by Kathryn from Family Food on the Table. 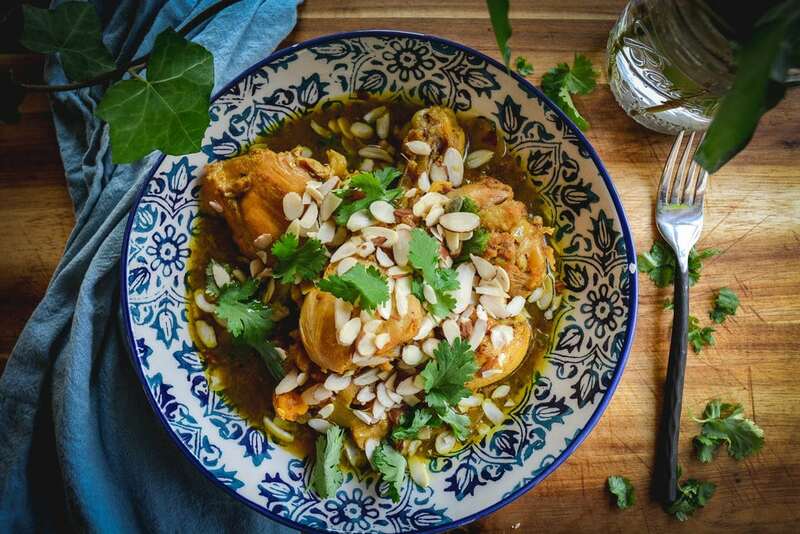 Chicken Tagine with Lemon, Dates and Apricots by Daniela from Calm Eats. 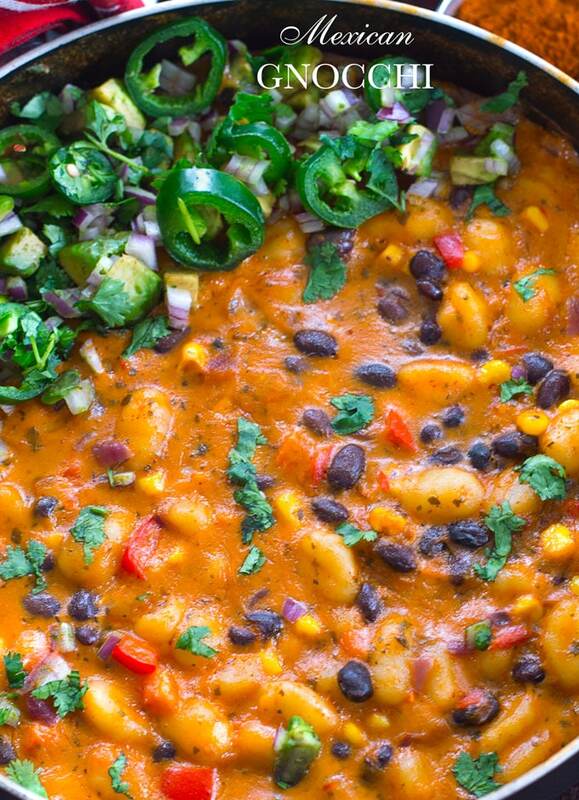 The Best Slow Cooker Vegan Chili by Elena from Happy Kitchen. Rocks. 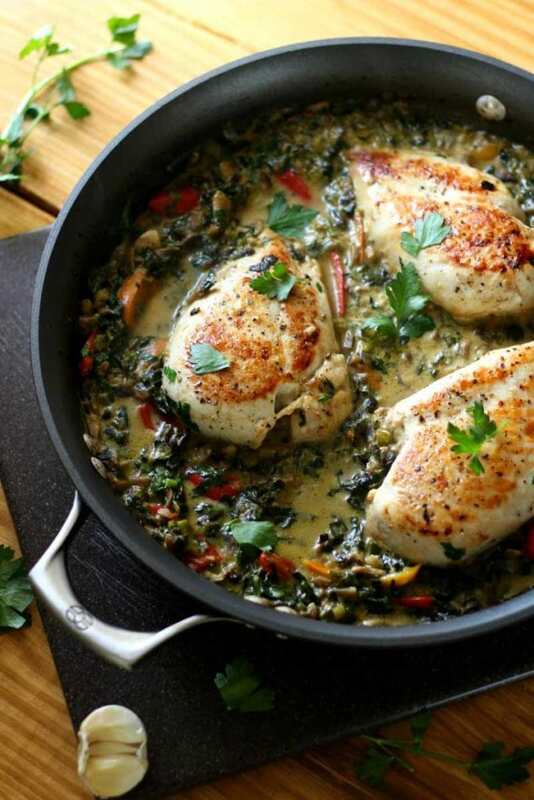 One Pan Easy Pizza Chicken by Carolyn from All Day I Dream About Food. 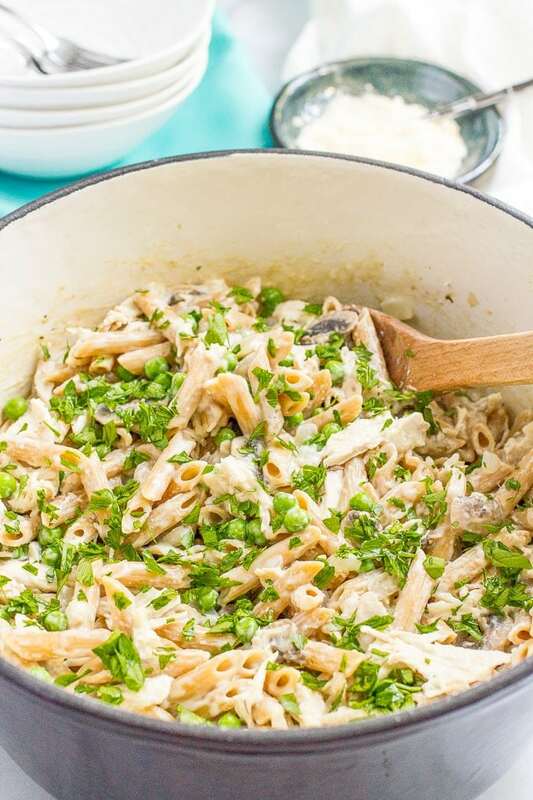 One Pot Creamy Chicken and Mushroom Pasta with Peas by Kathryn from Family Food on the Table. 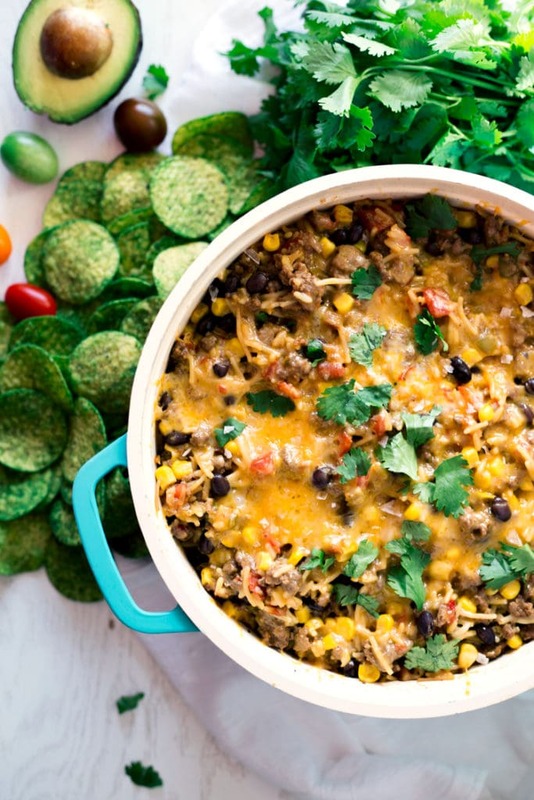 Cheesy Mexican Chili Rice by Karly from A Simple Pantry.